A BBC radio report into the West Midlands Counter Terrorism Unit has found that police are worried that the violent actions of the EDL are feeding Islamist extremism. This is precisely the argument that I have been making this week. Hate breeds hate. The EDL breeds Islamist extremism. Islamist extremism breeds the EDL. The bile spewed out by some of Brtiain's newspapers breeds both. It's time to break the chain. The anti-fascist publication Searchlight, which was behind the "Hope Not Hate" campaign to stop the British National Party in east London, is to expand its operations to oppose the Islamophobic English Defence League and Islamic extremism itself. The magazine, founded in the 1960s to monitor the rise of the extreme right, intends to set up a thinktank to investigate the phenomenon of the English Defence League, which has become a focus of ultra-nationalist opposition to the so-called "Islamification" of Britain. Writing on his blog last week, Searchlight editor Nick Lowles attacked both the EDL and the Islamic extremists of Muslims Against Crusades, who burned poppies, denied the Holocaust and called for a new Muslim fascism. "For the MAC, the presence and activities of the EDL prove how white British society is the enemy. For the EDL, the Islamist extremists are proof of the violent nature of Islam," he wrote. An online survey of Hope Not Hate supporters' reaction to Mr Lowles's words showed that over 95 per cent were in support of what he said. Around 40,000 people have viewed the post since it was written last Thursday. Mr Lowles said that he felt a huge sense of relief that he was finally able to speak his mind. "Islamist extremism has been the elephant in the room for too long," he said. "Everyone knows it is wrong and is actually part of the problem but people have either been bullied into silence or lack the confidence to speak out." He added: "Islamist extremism is no friend of a progressive society. Staying silent on attitudes and behaviour that is both wrong, offensive and downright dangerous is abandoning one's own progressive values and moral compass. Remaining silent and uncritical will be viewed by others as passive support or acceptance and that is not the basis to build a popular broadbased campaign against Islamophobia." Several Muslims posted supportive comments on the Hope Not Hate blog as a result of the intervention. Sameena from East London wrote: "It would be good to get some Muslim academics, and leftist leaders on board and being vocal. I would like to see some Muslim women sans hijab as well. There are plenty of us - but the media always wants to show the ones who fit a particular image." Bushra added: "MAC do not represent all British Muslims! I am a British Muslim and I wore my poppy proudly and observed the two-minute silence. I am sickened and offended that these people have no respect for those who fought and died, so that they could have freedom of speech." Two sides of hate faced each other today in West London. As Britain remembered those who had died in past wars, 30 Islamist extremists, under the banner of Muslims Against Crusades (MAC), hurled abuse, burned poppies and waved their hate-filled placards. A few metres away 60 supporters of the English Nationalist Alliance and the English Defence League pushed their own intolerant message. Let us be quite clear, both groups are as reprehensible as each other. In fact, such is the symbiotic relationship between the two that they actually need each other to justify their own existence. For the MAC the presence and activities of the EDL prove how white British society is the enemy. For the EDL the Islamist extremists are proof of the violent nature of Islam. They are two sides of the same coin of hate. We stand opposed to both sides. We oppose the racism and Islamophobia of the EDL just as weoppose the religious bigotry and antisemitism of the MAC. To hear these Islamist extremists publicly deny the Holocaust and call for the formation of a Muslim Waffen SS Division – as they did today – should rightly sicken every anti-fascist just as much as the racist bile spat out by the EDL and ENA. We think it is important to criticise both groups publicly. Criticising one group but remaining silent about another leads – correctly – to charges of hypocrisy and double standards. Only by criticising the actions of tiny extremist groups can we say with any validity that neither speaks for the wider communities and religions they claim to represent. And in criticising both extremist groups I believe that we are in tune with the majority of British people, who want to live in peace and without the hatred and violence extremists bring. It was announced on 16th November 2010 that 'long serving British National Party councillor Pat Richardson has been appointed the Eastern Region’s new membership secretary as part of a major overhaul of party’s local organisation'. It was reported that Cllr Richardson will now be responsible for making sure the branches are kept up to date with all the relevant enquiry information that future campaigns bring in. Mr Morris exhorted the meeting: "(I)t’s up to us to get out there and tell the public exactly what the BNP are about not what the lying media tell them. “The region is facing change in many areas, such as housing and jobs, about which the public has not been consulted or made aware of. We intend to address these issues with maximum effect. Delegates were also nominated to attend the intensive election training which is currently being rolled out across all sectors of the party. Hope not hate, Norfolk will be interested to follow the progress of this little group in a faltering and failing BNP. It is with great sadness that we report the death of veteran nationalist, Norfolk BNP stalwart and the man who introduced Nick Griffin to nationalism, Bill Fitt, who passed away aged 84 on 21 May after a short period of ill health. Mr Fitt was Norwich born and bred. During the Second World War, he joined the Royal Marines at the age of 17 and saw active service in the Far East. He had been an active nationalist since the 1950s and was a member of an earlier version of the British National Party which later merged with the League of Empire Loyalists to form the National Front in 1967. During the 1970s, Mr Fitt remained active in an organisational role in East Anglia and bravely stood as a candidate on several occasions. Apart from being a lifelong nationalist, Mr Fitt was also a dedicated trade unionist, and served as a TGWU shop steward for many years. He was elected by his union branch to act as their delegate to Norwich Trades Council much to the fury of the leftists who launched a campaign to remove him from that body. Despite being in his 70s, Mr Fitt agreed to serve as Norfolk BNP organiser from 1998 to 2002 in order to re-establish the party in that county.Even after stepping down from office, he did all that he could to help to promote the party in his locality. Bill’s placement of BNP posters in his garden riled the far left who resorted to committing acts of vandalism to his property in a futile attempt at political intimidation. As Bill remarked to the local press, having survived Luftwaffe bombs and Japanese snipers, he was hardly going to be intimidated. Having known Bill Fitt for 36 years, I am truly saddened to hear of his passing. Bill was the first nationalist I ever met. It was due to a letter he had published in a local newspaper that I first became interested in nationalist politics. I always had the utmost respect for Bill.All those who knew him will confirm that he was a man of principle, integrity and courage. My condolences go to his daughter Helen — who stood as BNP candidate for South Norfolk at the general election — and the rest of his family. It is interesting to learn that Helen Mitchell is the daughter of Bill Fitt. Thanks to Nick Griffin for the information. Helen Mitchell stood as a BNP candidate and gained a 'risible' 2% of votes in the recent General Election in South Norfolk, so losing her deposit. I was wondering to whom in the BNP she was related, as there was no information about her individual work for the party. Mr William Fitt is the reason that I first joined the anti-BNP movement. When I asked about the BNP's policies in Norfolk some seven years ago, he was so breathtakingly rude about my married name that I was totally taken aback. I am a Norfolk woman who happened to marry a Japanese. My married name has nothing to do with any lack of patriotism to my country. Once and for all Griffin should acknowledge what he knows to be true. Not everyone who opposes the BNP is 'far-left'. Some of us are moderates appalled by the knee-jerk racism of BNP characters, and some of us are apolitical but implacably opposed to the hatred that animates BNP policies. Some opponents of the BNP are decidedly right-wing (see There's Nothing British About the BNP, for example). 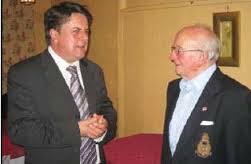 Strange that both Nick Griffin and I were politicised by Bill Fitt. In different ways of course. The BNP’s general election campaign hit the buffers across the country in spectacular style last night, with the vast majority of its candidates losing their deposits, unable to make even the tiny 5% necessary to keep their £500In the BNP’s two main target constituencies there was no joy for either party leader Nick Griffin or his deputy Simon Darby. Darby, parachuted in to Stoke Central at the expense of former organiser Alby Walker, took only 7.7% and 2502 votes, increasing the BNP vote by just 0.1%, a derisory increase given that the party seriously believed it could gain an MP in the constituency – that being the reason Alby Walker was elbowed aside by Darby. Darby’s lacklustre, almost non-existent campaigning, is sure to further anger already demoralised local BNP members, who felt that the well-known and – unusually for the BNP – highly regarded Walker, a local councillor and former leader of Stoke Council BNP group, had been badly used by Griffin and Darby, who squandered the BNP’s chances on the altar of their own ambition. In Barking, where Griffin had carpet-bagged the constituency from local councillor Richard Barnbrook, no amount of hoopla could save the BNP leader from getting self-inflicted egg all over his face. Barking was another constituency the BNP believed might give them an MP, hence Griffin’s order to Barnbrook to stand down in favour of himself. As the campaign went on Griffin began to reign in expectations, claiming that his candidature was intended purely to assist the simultaneous BNP campaign to take control of Barking and Dagenham council, though he still expected to increase the BNP vote and come second to sitting Labour MP Margaret Hodge. In the event Griffin lost ground, his vote share falling from 16.3% to 14.6%, placing him a distant third, behind the Conservative Simon Marcus, who, like Hodge, put on votes and share. In Norfolk the BNP nose-dived. In Norfolk North West, where even the BNP’s opponents expected them to at least save their deposit, Dave Fleming took a meagre 3.8%, not helped even by the antics of Labour candidate Manish Sood, who lost 18% of the governing party’s vote. In next door Norfolk South West, the BNP (Dennis Pearce) managed on 3.6%, while in Yarmouth, despite the Labour vote plummetting by 12%, Bosco Tann managed to convince only 3.3% of the electorate. In Mid Norfolk the BNP’s Christine Kelly fared even worse, taking only 2.5%, and in South Norfolk Helen Mitchel took a risible 2%. The BNP were made to look complete fools in Norwich South (Len Heather), achieving a joke 1.5% as former Labour minister Charles Clarke lost the seat to the Liberal Democrats. Only two Norfolk results involving the BNP remain to declare as we post, but it is unlikely the BNP will improve on its lamentable performance across the rest of the county. (LATER: BNP's Edith Crowther crashes in Broadland with just 1.7% of the vote, and BNP's Tom Richardson in Norwich North with hilarious 1.8% ). As the racist party faces serious internal turmoil due to Griffin’s highly public falling out with ousted webmaster Simon Bennett, who has made a number of serious accusations against Griffin, the future for the BNP looks bleak. Nick Griffin encouraged BNP members to hold utterly unrealistic expectations of success in the general election, many of them believing the party would gain several MPs, for which they repeatedly dug deep into their pockets. With those expectations shattered disenchantment is certain to follow as the Griffin-worshippers come to see that the expensive and wrong-headed strategy persued by the BNP was the product of Griffin’s own incompetence and that nobody but him is to blame that in an election when the word “immigration” was on almost every voter’s lips, they came away empty-handed and humiliated. Griffin’s only hope of salvaging something from the wreckage of the BNP campaign is a face-saving performance in local election counts, due to begin shortly. If the BNP fails to impress, Nick Griffin and the BNP could easily be facing their 1979 moment*. *In 1979 a similar performance by the National Front resulted in the swift implosion of what had been the biggest fascist movement in Britain since the days of Oswald Mosley. Conservatives and LibDems gain, BNP comes last - another lost deposit too. The results have not been declared but I understand Nick Griffin has conceded defeat in Barking. Nationally, the BNP has performed badly, a mixture of being squeezed by the mainstream parties, a strong anti-BNP campaign and internal infighting within their own ranks. Obviously there is still the local elections to count tomorrow but the omens do not look good for the BNP. I understand that the BNP is likely to lose all its councillors in Sandwell and Chris Beverley is likely to lose his seat in Morley South. Results are still being declared, but there are no signs of any significant BNP breakthrough so far. The BNP is devouring itself in last-minute in-fighting, their website down, their leadership in disarray and confusion, but it's not enough. They must be thoroughly defeated at the polls before they get the message that Britain will not accept policies of racism, hatred and division. Please get out and vote. Don't let any BNP candidate slither in by default. The services to this website have been suspended. It is with regret that I have been forced to pull this website due to several attempts of theft today with regards to design work and content owned by myself. It is no secret that I have been in dispute with some elements of the management of the party for sometime now, but had hoped to resolve these issues amicably and AFTER the elections. However, due to several attempts to steal my work today and combined with the recent deliberate copyright infringement I feel I have been left with no alternative to this action and feel wholly justified in doing so. 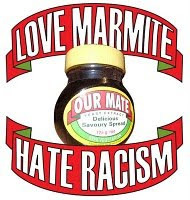 According to Lancaster Unity, who have the full details of this latest outbreak of infighting in the BNP’s ranks, Bennett briefly pulled the plug on the BNP’s website as a result of a serious dispute with Nick Griffin and Jim Dowson – profiled here by Searchlight – that stemmed from the party’s recent, unauthorised use of Unilever’s Marmite logo in the web version of its general election broadcast. To cut a very long story short, Bennett claims that he was left to face the music when this publicity stunt blew up in the party’s face, after Unilever sent in its lawyers to obtain an injunction against the BNP for copyright infringement, despite having been opposed to the use of the logo from the outset. As in invariably the case when infighting in the BNP hits the public domain, Bennett’s account of his falling out with Griffin and Dowson alleges that he was threatened with violence after pulling the plug on the BNP’s website, which he claims to have reinstated only after receiving requests from ordinary party members, who he describes as ‘decent people’. Bennett’s account also alludes to alleged inregularities in the party’s finances, another common feature of any public falling out with Griffin, although one that may gain rather more traction on this occasion as the party in currently being being investigated by the Electoral Commission after its own auditors indicated that they could not certify the accuracy of its more recent set of published accounts. This is happening hours before the elections! So much for party loyalty. The worms turn in the BNP, and once again it is senior BNP management against senior BNP management. Alert readers may recall that it was only a short time ago that the BNP ex-head of publicity, Mark Collett, was reported to the police for threatening to kill Nick Griffin, according to the BNP. At the same time the organiser of the BNP in East Anglia, Eddy Butler, lost his position within the BNP amid allegations of an attempted 'palace coup' against Nick Griffin, leaving the Norfolk BNP candidates in pathetic disarray and confusion. It is the ordinary BNP supporter that I feel the most sorry for. Mercilessly exploited by a callous and greedy leadership, treated with so much disdain that details of their membership are leaked into the public domain by disgruntled BNP management, and still awaiting proper accounting of where their hard-earned donations are being spent, the ordinary BNP member is cutting a pitiful figure once again. We opponents of the BNP have long seen that this Party is rotton to the core. Any party that seeks to divide a nation against its own citizens is fundamentally flawed. Don't say we haven't tried to warn you. The latest email from HopeNotHate makes a farce of the BNP’s attempts to cash in last week on ‘Bigotgate’; it seems they are not above the odd bigotted remark themselves, even in public. If you thought Gordon Brown’s gaffe was bad last week – just wait till you see Richard Edmonds’. Silly ******, aren’t they? Maybe she’s got a black kid, you see? That, I think, is always the explanation around here. Once they go with the blacks, they are part of the black tribe. Wicked, horrible, stupid. I’ve seen it many, many times. You think that’s bad? It’s nothing compared to what will happen if Nick Griffin becomes an MP. We can stop him – but we need your help. We’ve only got three days left but we are now completely out of leaflets. We need you to make a £10 donation to help us produce 90,000 eve of poll letters and leaflets to go into our key wards around the country. Richard Edmonds isn’t the only one infiltrating our neighbourhoods with bigotry and hatred. It’s something like leafleting central Nairobi isn’t it, I’m afraid. Well Nick, we’re afraid too. Afraid of the threat the BNP poses to many of our communities. And with your donation, we’re going to stop it. Over the past month, Hope Not Hate has taken to the streets, speaking out against the disgrace that is the BNP. The support for our movement has been unlike anything Britain has ever seen. In the next 72 hours we won’t be backing down. We’ve come too far and achieved too much. But only you can push us over the edge – and send the BNP back to the gutter where they belong. By making a donation now you can help fund the final, crucial hours of this campaign. We need to keep the BNP out of Parliament and out of control of local government. We are beginning to set the agenda in Barking & Dagenham but we need to drive our advantage home. Hope Not Hate have mobilised thousands of people into action in this election. We have been able to achieve this because of you. Now we need you to help us win. I think it was the Independent that first made the connection between the BNP and the surreal sixties cult comedy 'Monty Python's Flying Circus'. Suddenly I thought of a photograph of Norfolk BNP members enjoying a fund-raising dinner at a Norwich hotel on Trafalgar Day, 2008. The Gumbys are good for a laugh, but who in their right minds would vote them into any position of responsibility? Keep the BNP Gumbys out of Norfolk - every vote is important this Thursday. Nick Griffin and the British National Party are keen to portray themselves as on the sides of traditional British culture. They see a gap in the market that they can fill. While other parties surrender to multiculturalism, Islam, and politically correct secularism, the BNP stand up for traditional British Christianity. This is nonsense. There is nothing Christian about the BNP. If Muslims do stay in this country they must remember that Britain is essentially a fundamentally British and Christian country’. The BNP is a ‘Christian’ party that can save ‘Christian culture’. 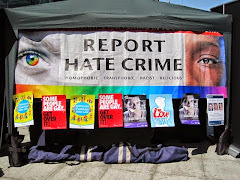 The BNP have created a front organisation called the ‘Christian Council of Britain’, headed by BNP activist and electoral candidate Robert West who leads religious services at various BNP events, including the party’s ‘Red, White & Blue’ and reportedly preaches on topics such as ‘the importance of nationalism’ and how “homosexuals do greatly err”. For West, a multi-racial society is a form of ‘Holocaust’, with immigration used to create “Lebensraum” for the Third World. Despite initially denying any connection with the BNP, West has admitted that the BNP “encouraged and facilitated” its establishment. 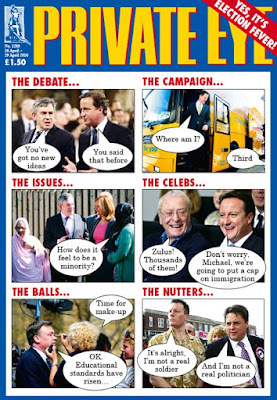 - There’s nothing Christian about the BNP’s ethics. For Jesus Christ, humanity was all part of one family. Christianity from the outset taught a universal message which dissolved the idea of race or nation, teaching that it is of no significance to God. He said that we should love our neighbour, preach the good news and understanding to all nations. He taught the parable of the Good Samaritan, to show our true neighbours were not just those from the same race. Most of all, he abhorred violence and the hatred that is fascism’s speciality. - The BNP’s use Christianity as an excuse for their homophobia. British fascism has a history of extreme homophobia. While the party’s policy is no longer officially to ban homosexual activity, they are always keen to claim that homosexuals are an affront to Britain’s ‘Christian heritage’. 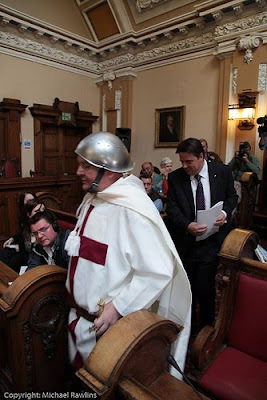 - The BNP’s real ideology is pagan. Christianity, of course, is a “foreign import”, and for the extreme activists within the BNP inner circle, like all other imports it must be purged. Ever since Himmler’s obsession with the occult, there has been a strain of Paganism with fascism, as zealots attempt to reclaim a purely European religion. Christianity is a semitic religion, it is creature [sic] of the deserts of the Middle East not the forests of the Northern Europe [sic] and its symbol the cross is an instrument of torture not of living redemption’. In place of Christianity, Barnes advocates Odinism, the worship of the Norse pagan gods of pre-Christian Europe, and he connects the Odinic ‘tree of life’ (Yggdrasil) with a religion based on race: ‘The roots represent our descent from the Gods and our connection to the Earth, the trunk represents our shared European racial heritage, the main branches of the tree our nations and tribes, the twigs on each branch represent each family unit and each single leaf symbolises an individual life. HOPE not hate, Norfolk remembers the fake cleric Robert West very well. He is already a familiar figure to the people of Norfolk who recall the battle for Norwich North last summer, when West stood for the BNP. He was soundly trounced at the ballot box then, just as the pathetically inadequate BNP candidates in Norfolk deserve to be soundly trounced this Thursday - as long as enough of you turn out to vote! They deserve to be trounced not just because they have cruel opinions and weird ideas but also because the BNP candidates are simply not up to the job of providing the leadership required in these challenging times. It all depends upon you, the Voter. Ok this is a phrase we have more than likely all heard the British National Party (BNP) Leadership (Nick Griffin), Members and Supporters use quite a lot, particularly in the case of Nick Griffin who in everyone of his European Parliment Speeches so far has made reference to the New World Order Global Governance. So what is this New World Order Global Governance exactly? Simply put it is a conspiracy theory that has been around for many years now, and is supposedly made up of several different groups all tasked with carrying out certain jobs around the world in order to pave the way for this single one World Government or New World Order Global Governance, now there are many sites out there that you can find out more information about the subject but I will try to enlighten you hear just to get you started. The New World Order Global Governance plot has apparently been in existence sine the late 30’s where by a group called the Bilderberg Group was set up to start the process of building this New World Order, and since then many other groups have been added all tasked with creating certain parts of the New World Order. These include, the creation of all disasters around the world including Famine, The current banking and credit crisis, the world wide economic slump has also been engineered by the New World Order masters and apparently the terrorist group Al Qaeda has never existed it was all a front so that the US and UK Governments could plan terror attacks around the world in order to scare the population into accepting this New World Order Global Governance programme. Now Barrack Obama Americas first black President is also part of this conspiracy he has apparently been groomed, manipulated and trained for the last 30 years in order to take the office as President of the USA to enable the “True Masters” to put into action the final stage of the New World Order Programme, this plan also involved former PM Tony Blair and current PM Gordon Brown who according to the conspiracy theorists are members of the Bilderberg Group and where put in place to enact the British end of this New World Order Global Governance programme which is apparently designed to take control of the worlds finances by controlling the new World Bank and setting all the worlds currency values and exchange rates etc. Now it seems that according to the conspiracy theorists that both Blair and Brown have so far failed in their mission, so a new UK leader now has to be put in place in order to get the job done and that leader is David Cameron. The Conservative Party leader has apparently (according to the conspiracy theorists) been inducted into the Bilderberg group to win the next election (which apparently they have already fixed) and then go on to enact the British end of the plan. It seems strange to me that as soon as the Labour lead in the polls starts to slide the conspiracy theory has to shift it’s gears to run with what is likely to happen in the next election, because Brown has lost voter appeal there suddenly has to be a replacement of course selected by the New World Order masters, and the obvious choice is David Cameron because of the normal pattern in British politics the power shifts between the Labour and Conservatives and this time it’s the Conservatives time to take the job on, so the New World Order conspiracy theory has adapted to now include David Cameron as the UK end of the programme. Now you would think this all sounds a bit mad, and you’d be correct it is ridiculous to think that the so called New World Order master haven’t managed to achieve their goals in over 70 years but apparently it has been part of the plan all along to take this long to get the New World Order running, yet none of the believers actually know who the exact members are or when the ultimate plan is supposed to be ready and running. Now we have a political party in the British National Party (BNP) (and to a smaller degree the UK Independence Party UKIP) who are so entrenched in the believe that this New World Order Global Governance organisation actually exists that Nick Griffin MEP and BNP Chairman uses every opportunity he can to mention the so called New World Order. Firstly just to back up my comments about Nick Griffin and mentions of the New World Order in the European Parliment here is a video of his latest speech on Climate Change, in which he clearly says that it is all made up by the New World Order leaders to a. Get in extra taxes and b. pave the way for the next phase of the New World Order. This next video shows just how mad the conspiracy theories are, as this one now attempts to group all the conspiracy groups into one big group that controls the New World Order, including claiming the Al’ Qaeda doesn’t exist and that it was made up as part of the New World Order. It claims London is the centre for the Worlds Financial Control. I love this, in the above video it also claims a “hidden hand” controlling the New World Order, damn lol this stuff makes you laugh, but there is a serious side to this that the BNP 100% believe this stuff, so by watching these videos you will find out exactly what the BNP believes in, and then I hope you will question whether they are seriously worth voting for. So now our emotions are used against us by the New World Order, because the people running it are setting up all the famine, terror attacks and everything bad in the world because it triggers your emotions so that they can retain control over you. Damn this stuff is mad, but remember every time you here the British National Party (BNP) make references to this New World Order Global Governance this this exactly what they are talking about, they truly believe in this stuff. I’m not making this up ask any BNP Supporter or member about the NWO and they will swear it’s all true. NEXT: Part 3 of the above video, now they have technology that can hold off any weapon that the people may use against them to try and remove the New World Under Global Governance. As you have heard now the plan is to Micro Chip the entire planet to retain control under this New World Order Global Governance, but again remember the British National Party (BNP) SERIOUSLY believe in this New World Order, and they want us the sane population of the United Kingdom to vote for them? I think that’s enough for now, I don’t want your minds to explode with all the BS in these videos. But I hope I have enlightened you to the real BNP ideas and what they do believe in, the New World Order Global Governance and this is what the BNP believe in, the conspiracy theory that never seems to actually end, I have also seen one video that also claims that the Bible was written in order to start the process of the New World Order. See also HOPE not Hate, Norfolk's January article on the subject. My name is Leonard Alfred Heather, I am aged 71. I left school in 1953 and because of my family connections with the London docks and the river Thames, I was apprenticed as a Lighterman working on the river Thames on tugs and barges in and out of all the various docks carrying all sorts of different cargoes to the various wharfs the length of the Thames, which I did for 42 years. I wonder what was going through his mind when he was cluching the side of a burning tanker waiting to die. My father and uncle Jim were with the 51st Highland division who's order's was to hold the German forces back while the Dunkirk evacuation took place and then surrender. Uncle Jim lost a leg in that campaign and they spent the remainder of the war in a prisoner of war camp. Previous generations have paid a terrible price for us to remain free - keeping our great history and culture going, and what's happened !! You cannot even call yourself English anymore in this country, people have been fined. I believe our relations paid this terrible price believing they were doing it to save our country's identity for future generations' and would not have done so if they could have looked ahead and been able to see the rot and decay our treacherous post war politicians have done to their once great country. All of this is down to allowing large numbers of third world immigrants to pour into our country bringing their backwards way of life and large amount of children. Whole areas of our green and pleasant land are now no longer British, and these area's are getting bigger by the day, within 30 years this country will no longer be Britain because by that time the indigenous population will be the minority, when that happens then, goodbye Britain, goodbye England - it's history and culture, we will have given our country away without even firering a shot. Mr Heather, it is good to meet you, and you have indeed had a long life with a lot of experiences. I see from other sources that you have been active with the BNP for some time in London, but not in Norfolk, let alone in Norwich. With respect, what is your connection to Norwich South? What do you know of the problems and concerns of the people of Norwich South? You have made some assertions in your introduction. For example, you claim that "people have been fined" for calling themselves English. This is a statement of fact, but who are these people, and under what circumstances were they fined? You have told us about yourself and your concerns at some length, but you have not once referred to Norwich. What is your reason for standing in Norwich South? What do you have to offer the people here? Why do you want them to vote for you? What will you promise to do for the people of Norwich South? You seem to be interested in English culture and history, but in a very pessimistic way as you state it is about to be given away "without even firering a shot". Perhaps do not realised how the Arts thrive in Norwich, and how the City is bidding to be a European Capital of Culture? There are no plans for Norwich to fossilise into one version of culture and history, especially not the stunted BNP version. You do not mention jobs, local taxes, rates, local business, schools, police and healthcare. Why not? I do not want to be unkind, Mr Heather, but what on earth are you doing standing for a seat in Westminster representing the people of Norwich South? It is obvious that nobody in the BNP has bothered to edit your typos, nobody has advised you on how to present yourself, and nobody has briefed you on local issues. 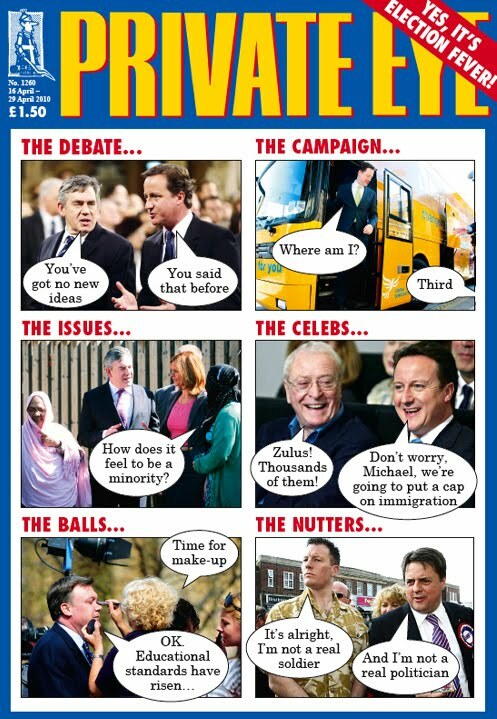 Why would the BNP seek to humiliate you in this way? According to the BNP, some 45,000 British National Party leaflets for the Chelmsford constituency have “vanished” in the Post Office in a possible instance of electoral fraud so massive that the party’s national elections officer, Clive Jefferson, has called for the election in that region to be postponed. "The Post Office have confirmed that they have a despatch note confirming receipt of the six palettes and more than 50 boxes of leaflets,” said Mr Jefferson. The leaflets were delivered on time and were due to go out on the 23 April, timed to coincide with the arrival of the postal vote applications. This outrage is the single largest such case so far. We have had reports from all over the country about individual postmen throwing away small bundles of leaflets, but it is remarkable that an entire constituency’s leaflets have vanished. We have been to the police and have made a direct application to the returning officer, Steven Packham, to have the election postponed. Mr Packham initially denied that he has the ability to postpone the election. He does, of course. The last we heard from him was that he was taking further advice from the Electoral Commission. Mr Jefferson said the BNP had now had enough of this continuing subversion of democracy and was going to make a stand over Chelmsford. “How can a free and fair election be run when our leaflets mysteriously vanish in such quantities?” he asked. This is unacceptable because the time frames involved will mean that possibly as many as 8,000 people will have already cast their postal ballots before our leaflets are even reprinted. Time and time again we have seen blatant examples of electoral fraud being committed, and the elections still carry on as if nothing has happened. This has to stop. Eastern regional organiser Paul Morris has been tasked with liaising with the local Post Office depot to sort the problem out, which appears to be far more widespread than just one constituency. Poring over the list of BNP candidates hoping to become MPs in East Anglia it’s difficult not to come to the conclusion that at some point in what ever selection process the would-be parliamentarians underwent utter desperation set in, and the requirement that the hopefulls should at a minimum demonstrate an ability to walk and talk at the same time was dropped as an unattainable objective. Star BNP clown is Dave Strickson. Dave, who hails from Grays in Essex, is one of those stalwart BNP bloggers who believes that a good BNP blog should be full of huge images and lots of music, perhaps to detract from the lack of any intelligent, or, indeed, discernible content. But it keeps Dave happy, and we’re all in favour of that. Dave had been selected to stand for Peterborough, presumably because the local BNP had nobody else available who was the equal of his intellect, and Dave set about gathering the ten nominations required to put his name on the ballot paper. Now we all know that to nominate a candidate each of the ten assentors signing the nomination papers must be on the electoral register. And it helps – because the law is very tetchy on the point – that they actually live in the constituency where the candidate intends to stand. The onus is on a prospective candidate to check that his or her nomination forms are valid before handing them in. Returning officers generally expect that anybody running for election is intelligent enough to know where they are standing, but in this case clearly reckoned without Dave and the BNP..
As usual when the BNP finds itself in a pickle of its own making, it blames somebody else, blissfully unaware that – as when in a hole you stop digging – when you’ve landed yourself in a pickle jar it’s a good idea to stop pouring on the vinegar. Standing in Ipswich is Dennis Boater, who claims to study current affairs and promises that he will “ensure that Ipswich remains a British town” – which we are sure it will, unless some foreign power has fixed itself to annex eastern Suffolk or the place is in danger of being carted off to some distant shore. “There will be no giant Mosque in Ipswich,” says Dennis, quickly adding that he will not lie to his electorate – and, strictly speaking, he didn’t, since there are no plans for a “giant Mosque” in Ipswich. Only those which exist in Dennis’s imagination. The hopeful in South West Norfolk is another Dennis, Dennis Pearce. Dennis claims that among the “obvious” problems afflicting us are “shortages of energy, water and food”. We may be missing something, but it’s been quite a while since we last saw thirsting, starving people wandering the blacked out streets of Norfolk. In fact, water and food are pretty difficult to avoid in south west Norfolk, and somebody always seems to find a two-bob piece to feed the electric meter. “The present Regime are only interested in grandstanding on the Global stage and continuing selling us down the river,” says Dennis, adding: “Our Policies are sustainable and put local people first,” without Telling us what those Policies are, or If he is having Treatment for his Random capitalisation Syndrome. Quickly passing over Ramon Johns, standing in West Suffolk, who tells us that he has been married for over fifty five years “to the same wife”, we’ll continue on to Norwich North, scene of last summer’s disastrous BNP by-election performance, when the party’s bogus vicar of the parish of nowhere in particular, the “Reverend” Robert West, was abandoned by his Maker (and the BNP), and thoroughly trounced, taking only 2.7% of the vote. Bordering Norwich North is the new constituency of Broadland, a very large and sprawling constituency – as it has to be, to contain the large and sprawling idiocy of its BNP candidate. You’d better Google that. We’re none the wiser, and Edith doesn’t expand on it. Perhaps its better that way. Experienced, as I am, in negotiating my way along the twisted and tortured by-ways of BNP grammar, I must confess that has flummoxed even me. Now if I’m reading this correctly, Edith appears to be saying that people should be dependent on getting too old to drive, rather than remaining dependent on their cars. 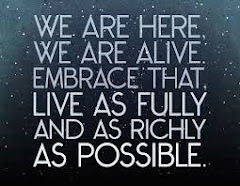 Perhaps it’s something to do with Right Livelihood. But it is worse than that: the smallest break in the supply chain will bring the whole lot down like a pack of cards, because multiple dependencies are being created including a total dependency on cheap migrant labour. Only the BNP is even contemplating how to deal with this – we make no promises, and certainly no empty promises, but at least we will be ready to step in if the worst comes to the worst. Don’t forget – the troops will all be back home, when we are in charge. Did you read what I just read? There isn’t much doubt at all, is there? And at this point we end this whistle-stop tour of the best the BNP has to offer in East Anglia, largely because there is only so much stupidity one can take in at a single sitting – but we’ll be back with more very soon on the people who want to run the country but couldn’t find a whole constituency. 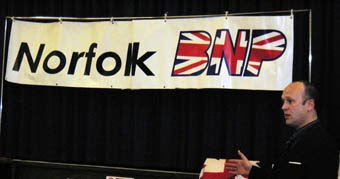 Who is organising the BNP in Norfolk? Eddie Butler (pictured) was until recently the 'Eastern organiser' of the BNP. Although details are murky, apparently he was implicated recently in an attempted coup against Nick Griffin, and so has lost this post, and has basically left the Norfolk BNP candidates floundering. A policeman representing the Norfolk Constabulary, PC Walker, told me that mine was not the only complaint received about the behaviour of the band of cowardly thugs who bullied the young counter staff of the KFC outlet on Prince of Wales Road nine days ago. PC Walker told me the EDL bullying is now logged as a 'race/religious hate incident', to be examined in more detail by their dedicated unit. In the meantime the site One Million United (1MU) has claimed to have identified at least two of the men who show themselves brazenly harrassing KFC staff. 1MU suggests that the video shows well-known bully-boy Anthony Bamford, and possibly soccer hooligan Sam Burgess. According to 1MU, Bamford has a history of harrassing individuals and this is not limited to fast food restaurants; 1MU state they have seen evidence of his ongoing cyber-bullying, deep-rooted racism and threats of violence. . . It appears that Bamford and co have removed their own film of the incident themselves, as 1MU suggests, "in an attempt to wriggle out of potential charges". It is thought that the thug at the end of the film, giving obscene hand gestures is the EDL’s Sam Burgess, who recently earned himself a three-year ban from football matches after punching a police officer. His identity has not yet been confirmed. 1MU links to another site that has a theory about this EDL foray into fast-food outlets, not only in Norwich but around the country. The English Defence League (EDL) has taken to copying the tactics of Le Pen’s Front National (FN) in France. The following video has also been released recently by EDL members, and appears to show them confronting KFC board members, having barged into a meeting. Due to our strict animal welfare standards, we insist that all our poultry is stunned before slaughter. Our halal chicken has been accredited by the Halal Food Authority, one of the most widely recognised bodies in the UK and overseas. It allows the use of a technique called ’stun-to-stun’ – a pain free process that makes the animal insensible to pain and suffering. A verse is also recited from the Koran at the point of slaughter by an appropriate person and the poultry will not come into contact with non-halal meat at any point in the supply chain. The HFA accreditation which is clearly signposted in the participating restaurants allows us to offer halal accredited meat whilst remaining committed to the same animal welfare standards as before, which meet or exceed all relevant UK and EU legislation. Are Norfolk people ready or willing to accept the bullyboy tactics of any organisation like the EDL or the BNP? Can we tolerate this low-level off-the street gang thuggery? These self-elected, boastful self-described guardians of 'Engish values' in the EDL, which is closely interconnected with the BNP, have no right to attempt to intimidate staff of local fast-food outlets in pursuit of their own political advancement. Kick such political movements out of Norfolk.